Seller now offering $6K incentive for buyer at closing! Zoned for nightly/weekly rentals. This wonderfully located, affordable and partially furnished Ptarmigan Village condo in the Big Salmon building is close to many of the village's shared amenities and easy to access right from Ptarmigan Blvd. It's three bedrooms and two baths can easily accommodate many guests. It has a wood burning fireplace and washer & Dryer that stays with the unit. Buy as an investment, vacation home or permanent residence. 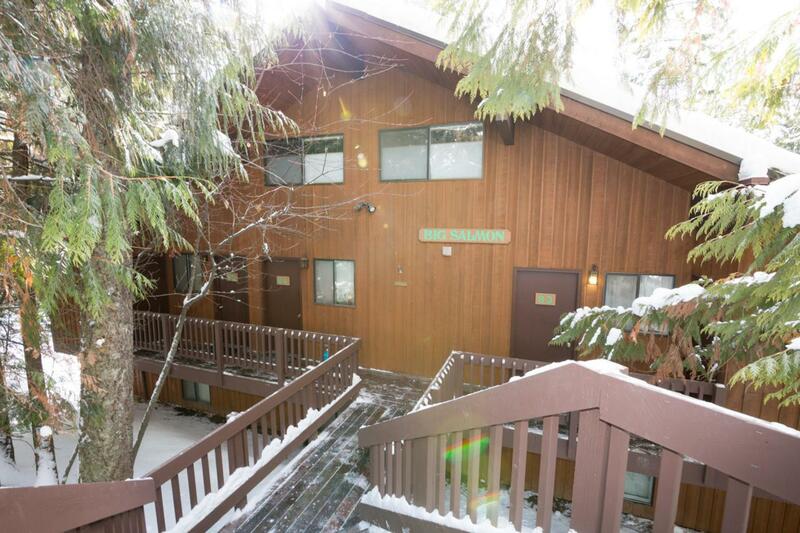 Enjoy all the community amenities such as the 100' of Whitefish Lake beach access, hot tub, dry sauna, indoor and outdoor pools, walking trails, tennis courts, stocked fishing pond, playground and laundry facility! It's also approved for the RCI exchange program. Listing provided courtesy of Jon Mohatt of Glacier Park Realty. © 2019 Montana Regional MLS. Information is provided exclusively for consumers personal, non-commercial use and may not be used for any purpose other than to identify prospective properties consumers may be interested in purchasing. Information is deemed reliable but not guaranteed and should be independently verified. Data last updated: 2019-04-23T08:19:49.66.